Words do not need to be said. With Black Friday coming up, the season of sales is in full swing already, serving up deal-after-deal of great technology reduced to extremely attractive prices. 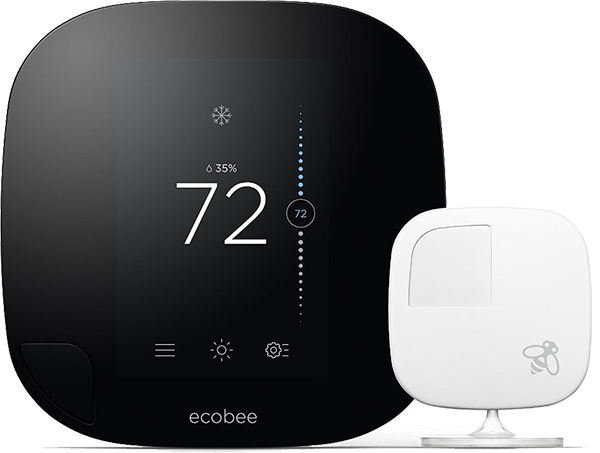 Starting off our today’s tech deals of the day package is the Ecobee3 smart thermostat for the home automation buffs, which not only works seamlessly with Amazon’s Alexa voice assistant, but is also compatible with Apple’s HomeKit, meaning it can be controlled using Siri voice commands on your iOS devices as well, both from within home and remotely. 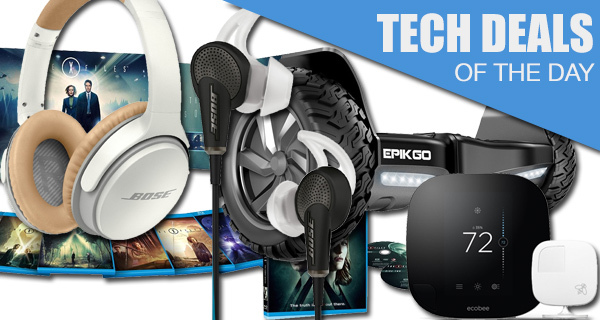 Looking for a premium pair of wireless headphones? It doesn’t get better than the Bose SoundLink, especially at the given price. 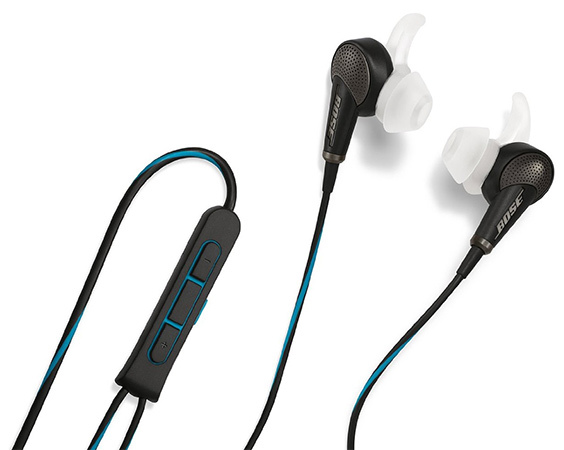 For a slightly lower price tag, there’s also a deal on the Bose QuietComfort noise canceling earphones. For The X-Files fans, there’s a complete series collector’s set on Blu-ray available at a discounted price. Last but not the least, there’s also a $1,000 hoverboard that is going for almost half the price right now! This is one of those new-fangled, extremely intelligent smart room thermostats that can intelligently learn and detect when you need to turn your cooling/heating on or off. The thermostat will learn from its surroundings and the heavier patterns of home owners to create a home energy profile, and will then use things like internal and external conditions to know when to cool/heat the room and when to turn it off. Works in conjunction with Amazon Alexa and Apple’s HomeKit. If you want quality, you sometimes have to pay a little bit extra money and stick with the tried and tested brands. 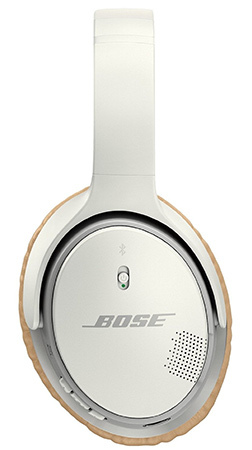 Step forward these gorgeous Bose SoundLink headphones that contain built-in Bluetooth for intelligent connection to mobile devices for streaming of music. These gorgeous beauties will be good for up to 15 hours of battery life. If the Bose around-ear headphones aren’t your cup of tea, then how about these in-ear, noise canceling earphones that look fantastic, and would be a beautiful accompaniment to your phone. One of the great things about these is that they not only come equipped with noise canceling technology, but also come with a neat little “noise aware” button that lets the wearer hear exactly what’s going on around them at anytime. Stuck for something to watch this weekend and fancy trying to work your way through 57 discs of The X-Files goodness? Get all of this amazing Blu-ray viewing including all of the episodes from the original nine seasons plus The Event Series, as well as special commentary by Chris Carter and some of the cast and crew. You may need a little more than a weekend to get through all of this. Why would you invest heavily in a car or public transport when you can head on over to Amazon’s pre-Black Friday deals and grab yourself a self balancing scooter? 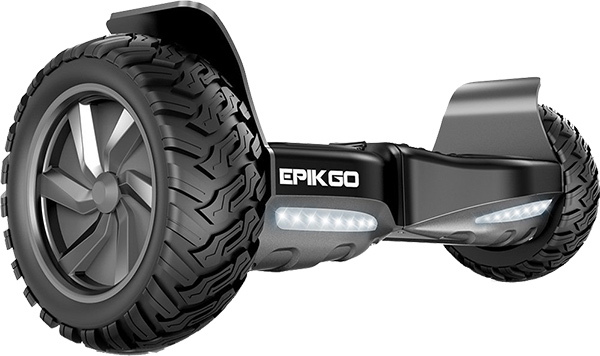 With full 400w motors, the EPIKGO is capable of climbing up slopes as steep as 18 degrees, and last over 1 hour when travelling at 10mph. It may seem expensive, but it’s being billed as best in class so definitely worth the extra pennies.